All meeting activities will take place in the meeting hotel, Motif Seattle (formerly the Seattle Red Lion Hotel). Scientific sessions, posters, lunches and breaks will all take place in the newly remodeled meeting space in the hotel. If you have not made your hotel reservations, you are advised to contact Motif Reservations directly at 1-855-515-1144 and reference the room block name “Aquarius Science Team Meeting”, to see if there is availability to accommodate you at the government per diem rate of $156/night. Depending on the dates needed, the agent may be able to help you directly. If you are not able to make arrangements via a Motif agent at the government per diem, please contact Camisa Carlson at carlson@esr.org, as there may be other hotels in the vicinity who will provide rooms at this special rate, as a courtesy to Earth & Space Research. The hotel offers a stylish atmosphere amidst the high-energy of downtown Seattle including the 5th floor outdoor deck at the newly opened Frolik Kitchen + Cocktails. 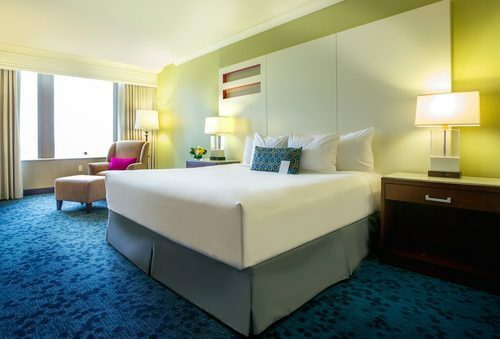 The hotel is in the heart of Seattle, boasting spectacular views of Elliott Bay and the Olympic Mountains. It is just moments away from Seattle’s exciting shopping, theaters, museums and attractions, including the Seattle waterfront, Pioneer Square, Space Needle, Pike Place Market, Seattle Center, EMP, Seattle Art Museum and CenturyLink Field. Located in the heart of downtown Seattle. © 2014 University of Washingon. All rights reserved. Meeting coordination provided by UW Conference Management.